Nero-Film AG, 1929. Directed by Georg Wilhelm Pabst. Camera: G�nther Krampf. With Louise Brooks, Fritz Kortner, Francis Lederer, Carl Goetz. 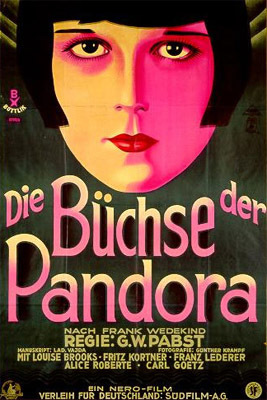 Pandora's Box is loosely adapted from two Wedekind plays comprising the 'Lulu' tragedy. The story deals with a beautiful, amoral woman who destroys all those who come under her spell, but who, as a Soho prostitute, falls victim to Jack the Ripper. 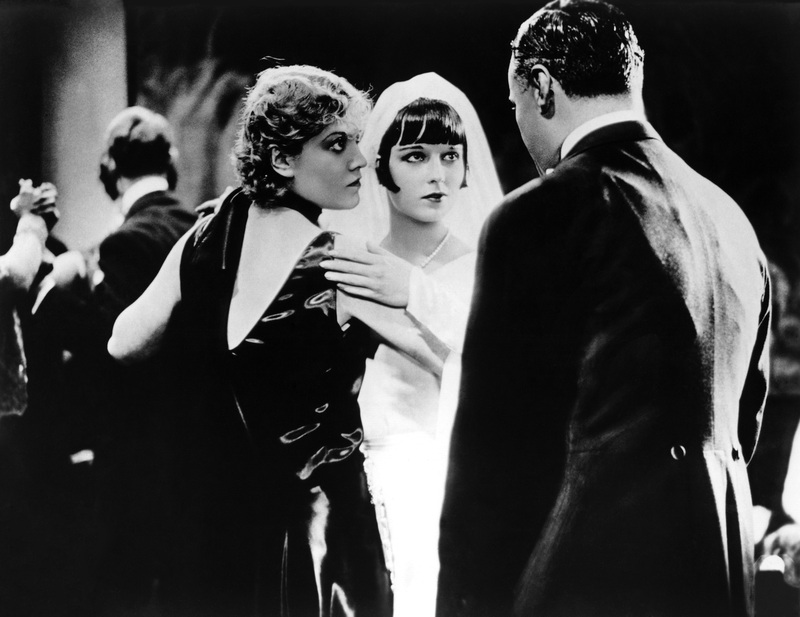 Under Pabst's direction, the film is a masterpiece of atmosphere, camera movement and editing; it is also one of the most sexually charged films ever made, due largely to the incendiary performance of the American actress Louise Brooks...All film faces, director G.W. Pabst must have known, are two-way mirrors. 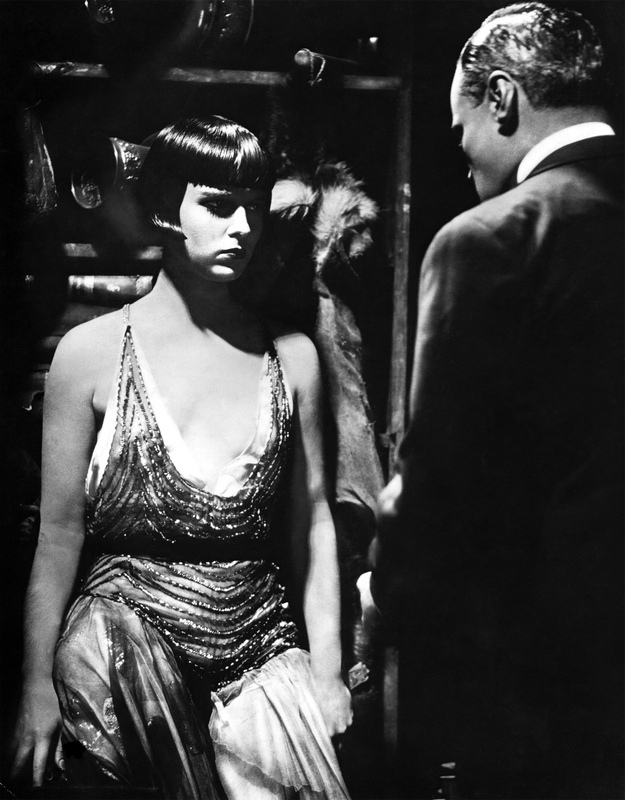 In Pandora's Box, Louise Brooks' impassive, enigmatic visage is a wide-eyed reflecting pool for the sexual depravity which her beauty seems to inspire and which, in the end, haunts her...her indifference is at once distancing and magnetic, qualities which Pabst used ingeniously. In the film's most glowing scene, amid the feverish, shimmering sensuality of the backstage bustle, Brooks emerges (as Lotte Eisner has written) 'like some pagan idol,' throwing the background out of focus, perhaps because the whole of the film is contained in that face." 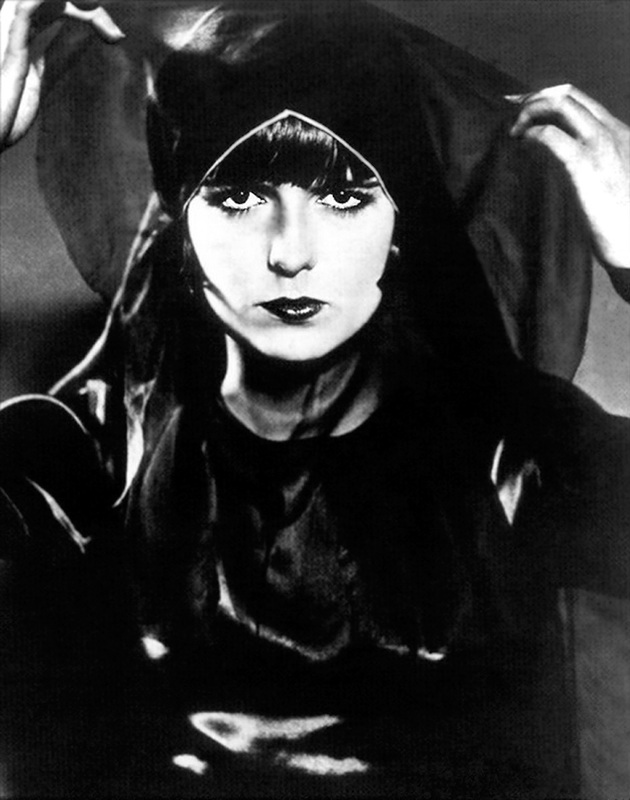 Louise Brooks may have never studied acting, but every actor should study her. How much they can learn is questionable though. This dancer/chorus girl turned film star was one of those rare creatures who probably couldn't have told you what she was doing, even if she thought long and hard about it (and Brooks was an intelligent, articulate woman). Like a great natural athlete, she simply could do it, and do it better than almost anyone else. Pandora's Box is the greatest existing record of her technique and remarkable talents. On the surface, a run-of-the-mill story of a femme fatale who destroys the men around her, this G.W. Pabst film is complicated, dark, moody, and seemingly packed with contradictory messages. Well acted and well directed by Pabst, it nonetheless would have been forgotten decades ago, had it not been for its star. Brooks was one of the most beautiful, most photogenic woman to ever appear on the screen. From some angles, her face is so remarkable it almost doesn't seem real. Her personality exceeds her beauty, and it was the perfect personality to capture the childish, petulant, self centered, yet sweetly innocent kid who is the embodiment of every pretty girl who wants what she wants, regardless of the consequences. Pabst' film, based on two German stage plays, is also a fascinating look at male sexual obsession, at men unable to control their lust who want to destroy the object of that lust before she destroys them. Yet it is simply Brooks' totally natural performance that, in the end, will be remembered here. Ironically, she was really no more than a starlet in her American silent film days and it took three European films to elevate her name above the title. And those films were hardly seen in the U.S. in their day. While Brooks has benefited from a well-written biography and the adoration of much of the press, a close examination of Pandora's Box proves she was much more than just hype. 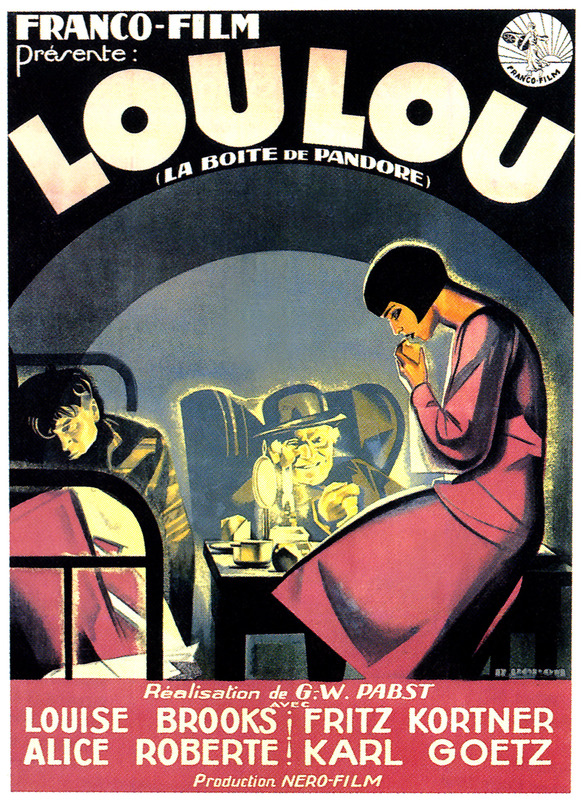 This movie is one of the great treasures of the cinema, and Louise Brooks was one of the most talented and most fascinating actresses to ever appear in movies, on either side of the Atlantic.